The Yakima Valley Transportation Company, which served the city of Yakima, Washington, was nothing more than another one of the many interurban operations which sprang up around the country. The railroad gained fame due to its longevity, operating well into the 1980s and during that time continue to use boxcab electric locomotives to move freight. 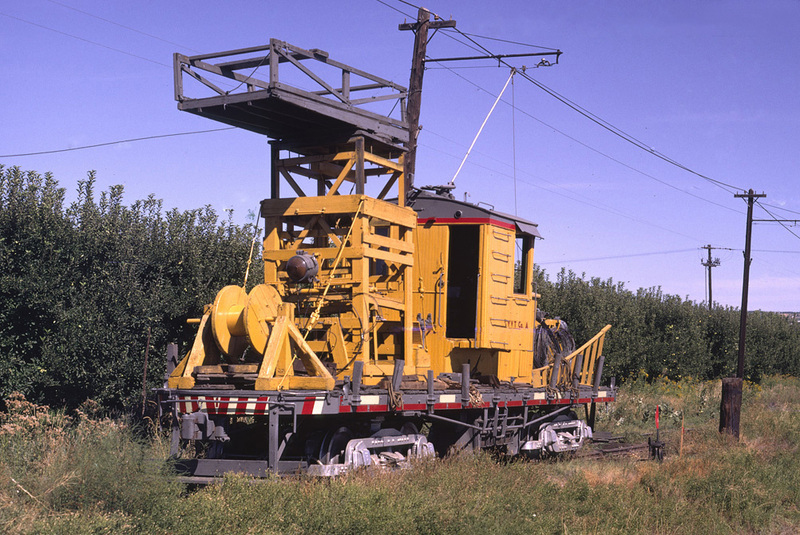 Today, much of the YVT's original main line remains preserved thanks in part to the city of Yakima and Union Pacific (which controlled the railroad for most of its existence) which worked to keep the original line intact as much as possible. Because so of the YVT remains today it is on the National Register of Historic Places and is a major tourist attraction for the city of Yakima. The YYT has a history which dates back as the Yakima Inter-Valley Traction Company, which was chartered on June 2, 1906. The YIVT was mostly just a paper company, never really completing any construction or major building projects. However, it was able to acquire the rights from the city to operate streetcars through 1947. 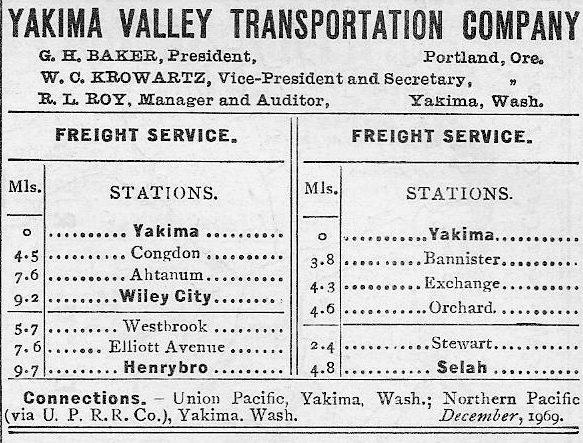 A year later, in July, 1907 the Yakima Valley Transportation Company was formed and purchased the YIVT's charter, soon afterward beginning construction. For the first year or so of operations the YVT completed lines directly in and around Yakima, receiving its first three trolley cars in September, 1908 (before this the railroad rented cars from nearby Tacoma). Just two years after the railroad began operations it was sold to the Oregon Railway & Navigation Company, a Union Pacific subsidiary. From thence forward the YVT remained a wholly-owned part of the UP for nearly 80 years. The Union Pacific, is today the largest and one of the most powerful railroads in the country; it has been with us since 1862, some 149 years. The Union Pacific is far older than any other American Class I railroad today with the Kansas City Southern in a nearby second at 111 years. In that time the railroad has become not only one of the most highly respected institutions in the nation but also has seen nearly every major railroading event in our country's history, and accordingly has a very long and storied history. Under UP ownership the YVT began expanding its operation to tap nearby agricultural resources to increase its freight volume. Two years after purchasing the property, in 1911, the UP had a direct connection to the YVT, via a branch that veered from its Portland to Spokane main line. Now connected to the national network the YVT could begin not only shipping out the freight it generated but also be in a position to better market itself. By 1920 the YYT had reached its largest size, some 48 miles, all of which were electrified. 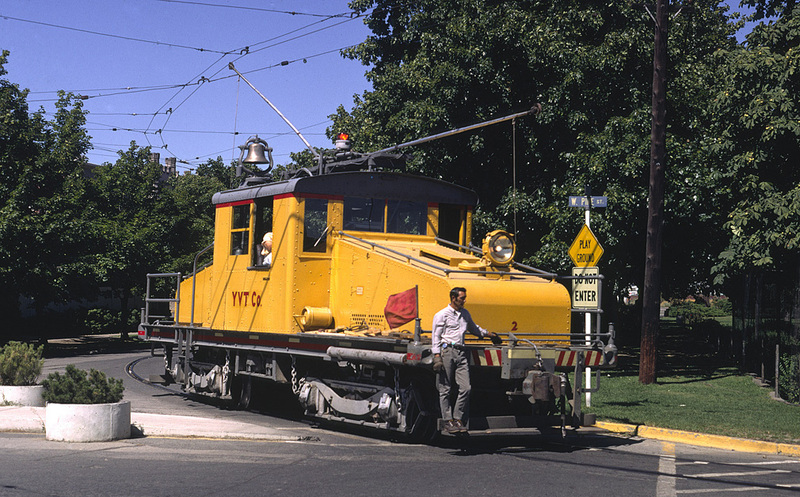 Mostly this trackage was spread in and around the city of Yakima. 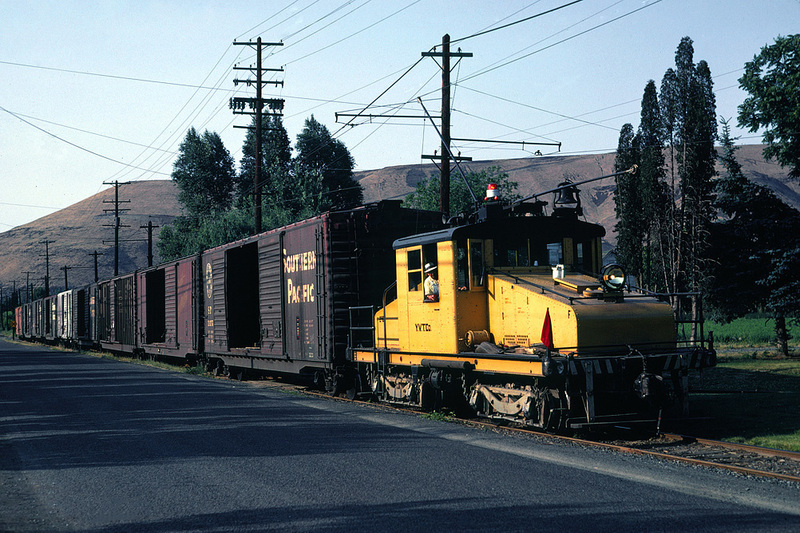 However, it did have two branches of notable length upon which it mostly served freight customers: one branch connected Yakima to Henrybro/Ahtanum to the southwest (a distance of 9.7 miles according the railroad's official timetable) while the other branch veered northward to Selah (a distance of 4.8 miles according to the timetable). As early as 1921 the YVT began scaling back its operations, as interurban passenger services became less and less profitable. In 1926 the railroad sought to end its inner-city passenger operations but was denied. However, by 1934 it was able to suspend these services along its lines outside of the city. 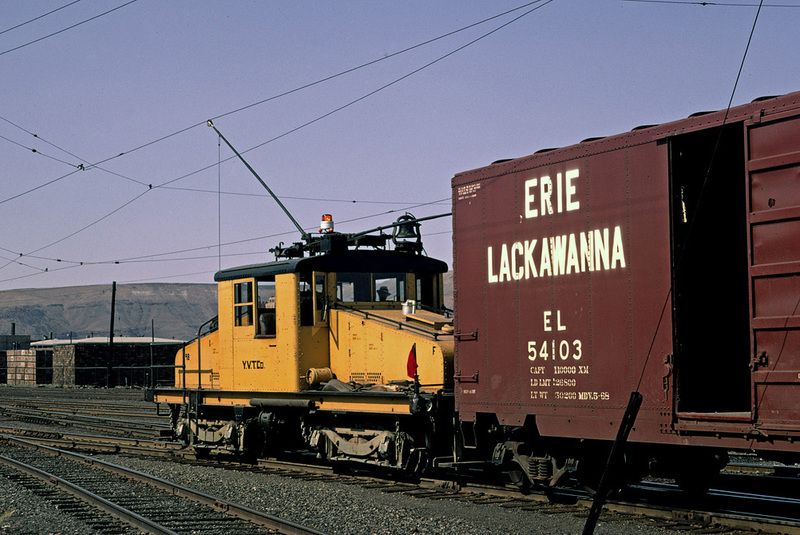 During this time it began retiring unneeded trolley cars and replacing these with boxcab and steeplecab electric locomotives, many of which were purchased from General Electric to use in freight service. Once the YVT's original charter expired in October, 1947 its new franchise negotiated with the city allowed the railroad to totally abandon passenger services in favor of buses. However, even the buses proved to be quite unprofitable and the YVT sold this operation to a private company by 1957. For the rest of the Yakima Valley Transportation Company's days it concentrated on serving its remaining freight customers and interchanging this traffic with Union Pacific. By the 1980s, however, the little railroad's freight traffic had mostly dried up and by April, 1984 the UP officially asked to abandon the operation, which was granted by the ICC a year later in 1985. 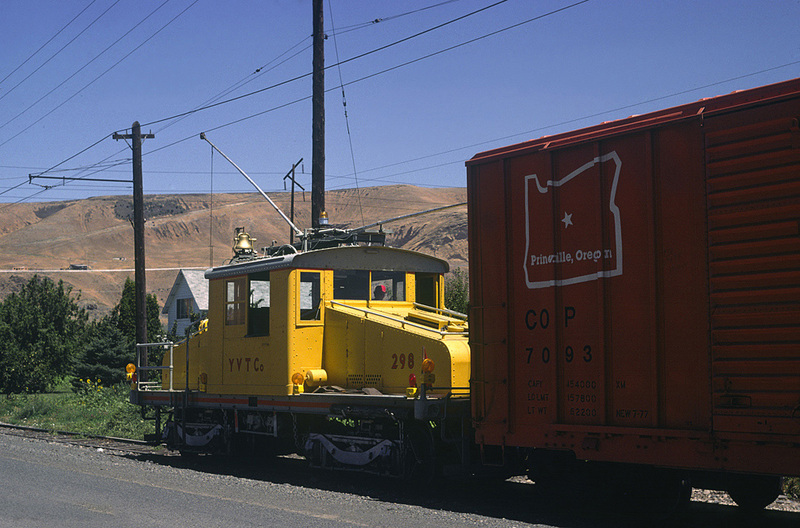 However, at this time the city of Yakima stepped in and asked Union Pacific if it would be willing to donate the remaining 14.5 miles to them, since they already had been operating excursions over the entire route since 1974 and by 1983 a group had been established to oversee it, the Yakima Interurban Lines Association. The large Class I agreed and gave the city everything except freight motors #296 and #297. While the railroad did not give Yakima the original carbarn it did lease it to them, and the city eventually purchased this outright in 2008. In total the city received the track, overhead wire, the original substation, 1909 "Line car" A, and GE steeple cab #298 (built in 1922). Unfortunately, the city lost the original branch line to Henrybro/Ahtanum as Congdon Orchards, Inc. successfully sued to revert the right-of-way back to private ownership. Thus, today, only the 4.8 northern branch to Selah remains active. Despite this, since so much of the original YVT remains preserved it is well worth the visit and ride aboard the historic railroad, which is now under the direction of the Yakima Valley Trolleys Association (the Yakima Interurban Lines Association was dissolved in 2000).